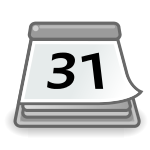 Open source web calendar supported by Amfibi. PHP-Calendar is an open source web calendar. It is intended to provide a simple solution with an intuitive interface. It is targeted to companies, groups and individuals with the need to track events with an emphasis on group collaboration. In that same collaborative spirit, the source for PHP-Calendar is available under the open source Apache license to facilitate colaborative development. Username and password on both calendars are "guest" and "guest". Development - Demo of the current development line. It may be broken, but it should show off some of the newest enhancements. Development - The latest code can be found here. Report Issues - Please fill out the form. Coding - The development link above is a good place to start. I prefer patches against the current SVN branch. They can either be submitted to the issue tracker or emailed to me. Translation - Translations are managed on transifex.com. Our Transifex project page. Almost 5 years since 1.0, 2.0 is complete. The number of features and improvements are too numerous for me to remember and list here. Vastly improved UI. Utilizing JQuery and JQuery UI for theming. A more sensible and powerful event form. Improved user support, including admins for specific calendars, and user groups. Improved translation support. Included script to build translation objects and no longer reliant on built-in gettext support. If you've been using PHP-Calendar 1.1, now is the the time to upgrade. There's an included script to move over your old events. It could use a bit more testing and feedback, but it's ready to use. This version just has some minor UI polish and bug fixes. I have just a bit of polish left until 2.0 final is done.